Few data are available on either the epidemiology or management of hypertension in older adolescents and young adults, leading to consensus recommendations for the management of hypertension in young adults aged 18 and all adults 60 years and below. The lack of guidance on cardiovascular risk modification is further compounded by limited health insurance coverage and acquisition of poor lifestyle choices, all of which contribute to the development of atherosclerotic disease and other target organ insults. 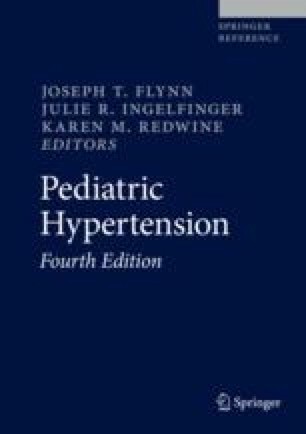 This chapter will review the limited data on hypertension and its management in individuals aged 18–25, as well as the incontrovertible evidence that hypertension and atherosclerosis are progressive conditions that have their origins in the young. Societal interventions such as education regarding appropriate lifestyle choices and expansion of health insurance coverage may be the most appropriate strategies to prevent development of cardiovascular disease later in life.